Buying a new car is an exciting time, but it can also be stressful. After all, you’re trying to get the best deal on price, while also deciding on the make, model and features you need. 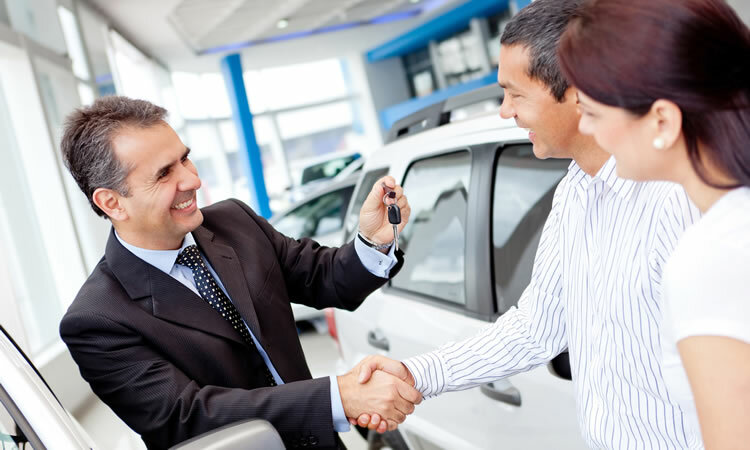 Here at Absolute Insurance Agency, we can’t really help you become a master negotiator when it comes to buying a car. But, we can give you some things to consider when you’re looking around the lot and when you’re trying to answer the age-old question of “new or used?” Read on with an open mind, and you might just come to a different decision the next time you’re on the car lot. Ah, that new-car smell. It’s a bit of a cliché, but it’s one of the things that people love about climbing into a brand-new car. And while they make air fresheners that supposedly give you that same smell for your used car; it just doesn’t seem the same, does it? Still, there are other benefits to buying new along with some drawbacks as well. PRO — Peace of mind: Your new car may have a warranty for up to 10 years, and is also covered by “lemon laws” that could allow for a replacement or refund if the car has serious defects. It’s also worth noting that if you purchase a new car in its first model year (meaning it’s a new model for the automaker), there won’t be many user reviews available, so data on reliability and repairs will be limited. In addition, sometimes newly introduced cars have some kinks that generally are ironed out by the second and third model years. These aren’t necessarily serious issues, and the warranty should cover them, but in some instances, you and your car could be headed to the shop more than you’d like. CON — Maintenance: While a used car theoretically shouldn’t need more frequent maintenance than a new car, you’ll likely need to replace things like tires, headlights, etc., earlier. And, scheduled maintenance probably isn’t covered by the automaker. PRO/CON — History: You’ll need to check the car’s title history to make sure it hasn’t been in a serious accident or salvaged. Ask the dealership to provide this information.